Tomb Raider as you know it has undergone quite the change as Square Enix look to reboot the franchise and represent it in a more interesting and engaging way. Recently I was able to go hands on with the upcoming title and play through the first couple of hours, so what exactly what does the new Lara bring to the table? And what’s the direction they’re now looking to go with the franchise? One of the main points I believe we should begin with is Lara herself and how much the current version differs from the way she was portrayed in the past? Now let’s just say that the only similarity between the new and the old are the features, other than that the whole confident, courageous and tough lady we’re used to seeing is completely gone. Instead we’re presented with a younger version that’s completely freaked out and scared due to the fact that she’s all alone on an island in the middle of nowhere, while at the same time she has the crazy locals trying to kill her. So who wouldn't be shaking in their boots right? Well funnily enough, for someone who has never experienced living out alone in the wild, she shows some incredible strength especially when it came to scaling walls and while I'm no mountain climbing expert, I’d have to say that Lara seems to be a lot stronger than the average person. 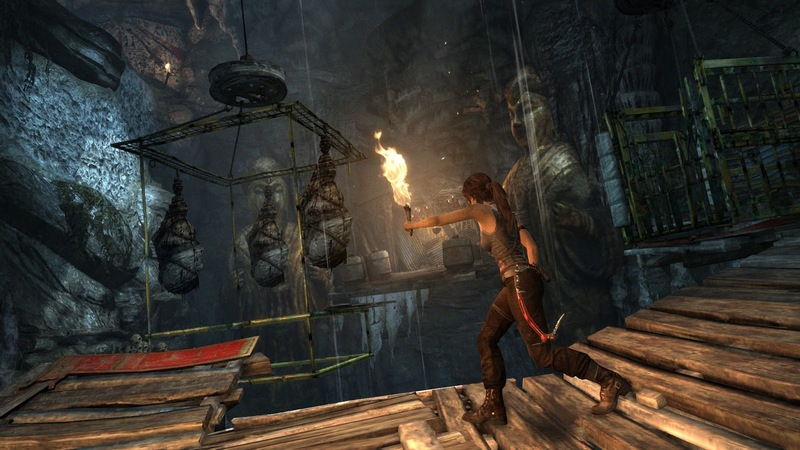 Even when going up against enemies who obviously look like they should have the strength advantage, Lara seems to be able to take them down as if they were children however chances are this can change drastically depending on the difficulty level you decide to play on. When it comes to seeing how the story and gameplay run together in a way that’s meaningful, I can only properly tell when the full game is released however what we do see and what I believe is the big selling point of the new Tomb Raider is actually going on this journey with Lara. Throughout the story she explores this island and in doing so, gains the necessary skills to survive on it whether it’s hunting for food or finding loot so she can upgrade the tools she has access to. You see it all happen right before your eyes and from the couple of hours I played; I’d have to say it was pretty engaging as you constantly have to rise above when the deck is stacked against you. Environments themselves are pretty expansive and chances are you’ll be spending a lot of time running around and exploring every nook and cranny of it in order to gain as much salvage as possible. In the part that I played, the only food I found that you can hunt is the deer with the exception of the crazy wolves you may encounter from time to time. To further push this there are also optional tombs you can explore along with the main mission, these are simply extra but do contain valuable loot that could benefit you later on. 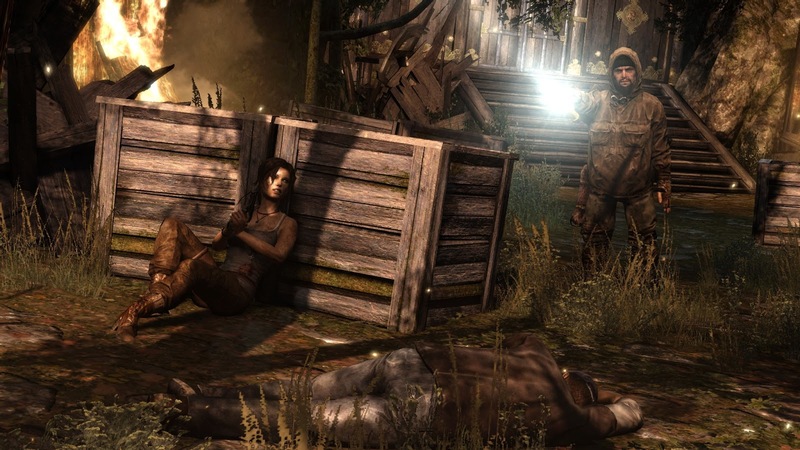 A legendary series being rebooted allows Square Enix the chance to breathe new life and ideas into the Tomb Raider franchise but also the Lara Croft character as well. So far the game looks to be a tightly knit one and I look forward to its release on March 5th 2013 for the Xbox 360, PlayStation 3 and PC.